Developed to provide the improved grip on very cold, icy, or snowy surfaces. 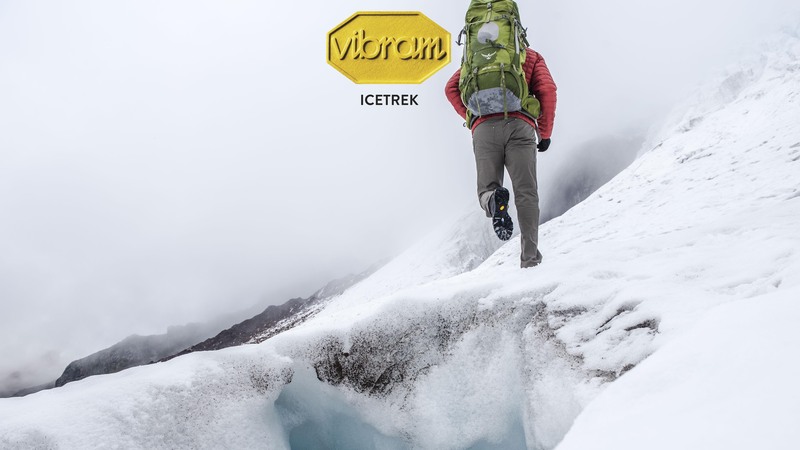 Vibram ICETREK allows you to move and work more freely in cold areas. Vibram ICETREK rubber compound will not scratch or damage interior floors or absorb liquids and dirt, all while offering grip and traction on icy surfaces. The softness allows the compound to adhere to smooth surfaces and to support aggressive dras in order to improve traction. In conjunction with sole design utilizing small pointed lugs and large supporting surfaces make ICETREK soles useful to move with confidence.